Young Ruth Hammond in Laconia, New Hampshire was fortunate enough to receive this lovely embossed postcard from her Aunt Annie in Lynn, Massachusetts, back in 1912. It’s postmarked April 5, 1912 at 4 P.M., a Friday, and Easter was the following Sunday, April 7 — but I’ll bet anything that Ruth received this postcard in time. My own children received some more modern Easter greeting cards from my mother yesterday; I like postcards better. 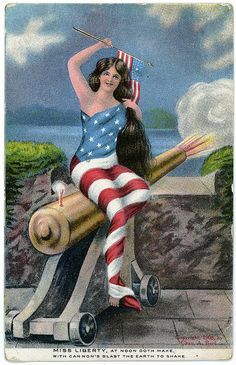 It’s too bad that they don’t really make cards like this anymore. Be sure to check out this week’s Postcard Friendship Friday for more Easter greetings, and other postcards from times gone by. What a wonderful postcard, and such a sweet note. 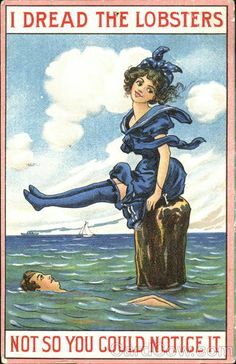 I also love postcards–they just don’t make them like they used to. Forty years ago, there was a resurgence in re-printing old postcards. As a young’un I bought quite a few of them. I’m so glad I did. You can hardly find beautiful postcards anymore. Thank you for posting! A joyous Easter and Happy Postcard Friendship Friday to you! What a wonderful treasure… love these old postcards myself… thanks for sharing your treasure! Wonderful card, Chris. I also like these vintage postcards better. Fijne Paasdagen as we say in Dutch.